If you’re the average person, you’re spending a decent amount of your work day doing things that are unproductive. No wonder you’re not productive. How do I know this all to be true? Because it was me not too long ago. I thought that being ‘busy’ was the same thing as being ‘productive’. Well, they’re not. 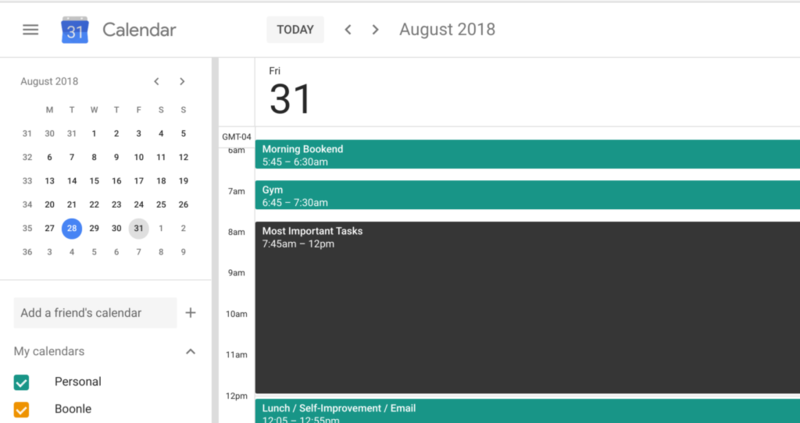 I use Trello + Google Calendar to organize my tasks and schedule my day. I literally block out almost all of my day with tasks to help me stay focused and on topic. 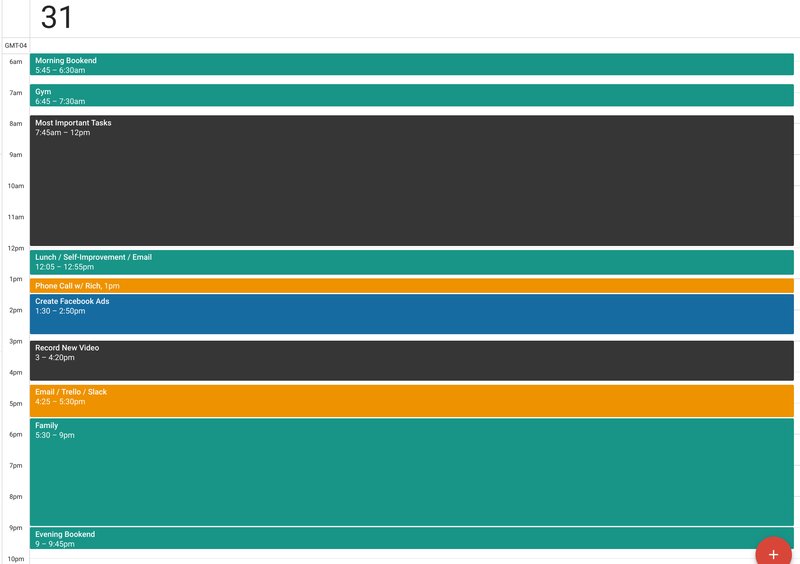 Here’s a blank Trello board that you can copy and use. 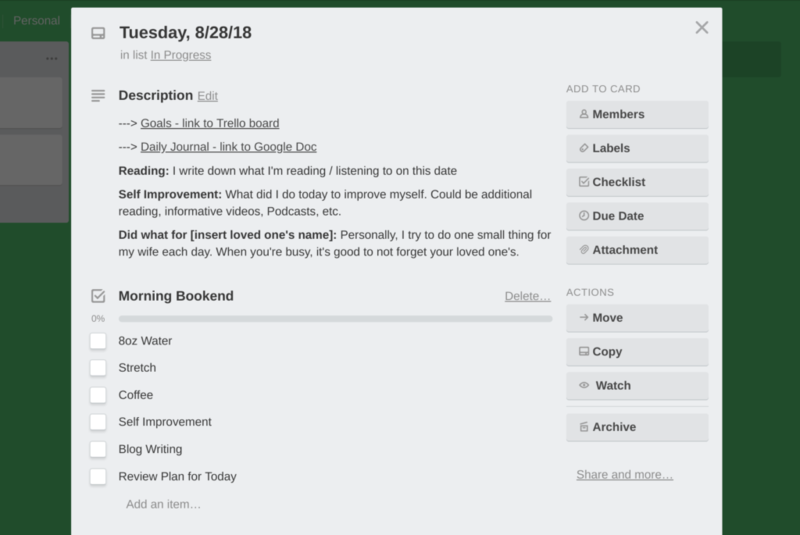 Now, you don’t need to use Trello. If you just to want use the Calendar, that’s fine. But personally, I prefer to check boxes as I go as it’s a response that let’s me know I’m getting important work done. For those of you who always complain of being tired or not having enough energy know that it is hard to consistently be productive. Because being productive requires energy and mental clarity. And one of the best ways to increase your energy and mental clarity is through exercise. For me, this means hitting the weights at the gym. For you, it should mean whatever gets your body moving: walking, running, biking, yoga, weight training, etc. Your mind and body are your greatest asset. Take care of it and you’ll be able to take care of a lot more. Only after all of the most important tasks are complete do I move on to my “other” tasks for the day. This list can be a wide range of items from meetings, phone calls, non-critical emails, and social media (for work). I do make sure that I add in at least an additional 30 minutes of self-improvement. I typically listen to an audiobook at this time. Check out what I’ve been listening to. After all, life isn’t just about work. It’s OK (and recommended) to stop working and spend time with those who matter to you most. 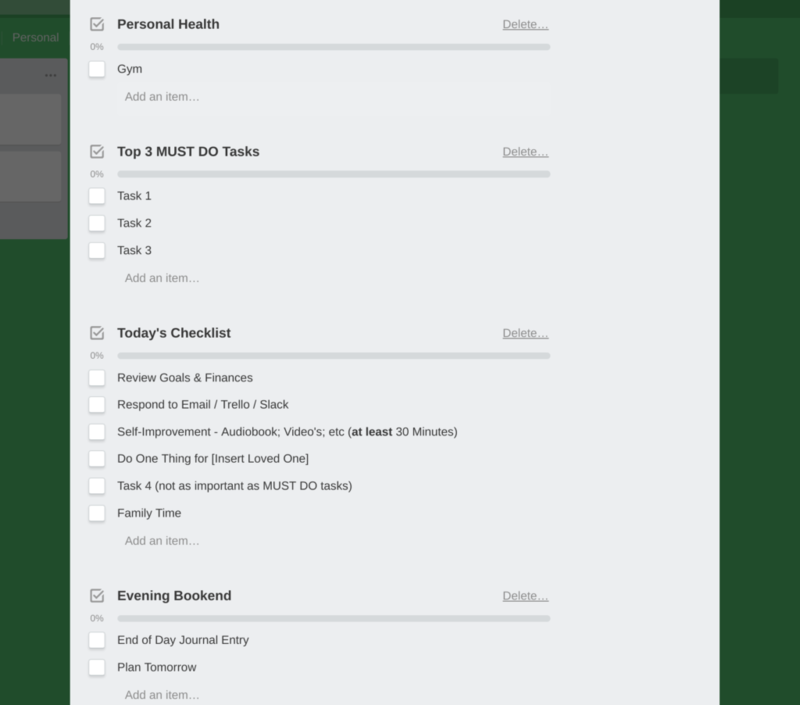 It may seem ridiculous to add this into your task list and calendar, but it’s not. It’s a simple reminder everyday that you should put down what you’re doing and shift your focus to loved ones. I either have this set up as a block of time or as specific activities that we’ll be doing. If you want to build something like this into your daily routine you’ll need to make it a habit. And although you may have some initial motivation, remember that you need consistent motivation until the habit is built. Try committing to doing this (or something similar) for at least 3 weeks (because, according to research, it takes 21 days). Comment below and let me know if you plan to try out a similar schedule to mine or if you already do something else to keep yourself productive.